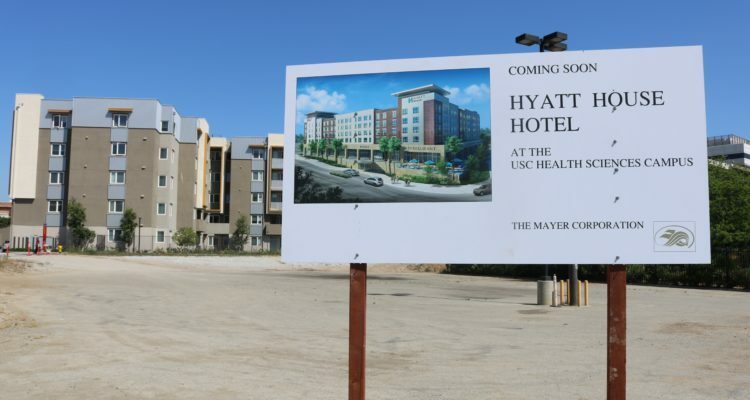 Construction on a 200-room hotel adjacent to USC’s Health Sciences Campus in Boyle Heights have begun quietly over the past few months, joining other new developments in the area known officially as the Los Angeles Bioscience Corridor. 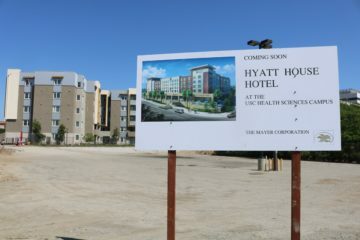 Builders broke ground on the Hyatt House Hotel at the northeast corner of San Pablo and Alcazar Streets, Urbanize LA reported. Once completed, the five-story building will feature apartment-style suites targeted toward long-term stays, 14,000 square feet of retail and restaurant space and a 310-car parking garage. The project, currently slated for completion in 2020, is part of a building boom on the LAC+USC Medical Center campus. Plans for a 95-unit student housing complex at 1630 San Pablo Street were approved by the Los Angeles City Planning Committee in October, while construction on the 115,000-square-foot Norris Healthcare Consultation Center Three began in 2015. USC’s 2016 Health Science Campus Master Plan called for a 25- to 30-year renewal process that would add over 1 million square feet of clinic space and beautify the surrounding streetscape. The nearby Los Angeles County General Hospital could also undergo renovations if the county moves forward with plans to convert it into housing for homeless and low-income residents. 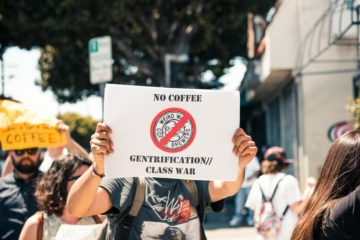 These projects have concerned some Boyle Heights residents, who fear being priced out of the neighborhood as development raises costs in the area. 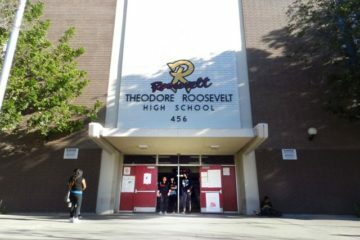 Eastside L.E.A.D.S., a coalition of community groups, challenged the construction of the San Pablo Street student housing project last year, saying USC failed to communicate with residents about its plans. The group recently reached an agreement with USC’s development partner American Campus Communities to provide community benefits such as employment and job training as part of the project. Photo courtesy of George Kelly via Flickr.